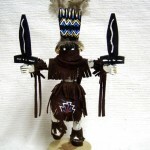 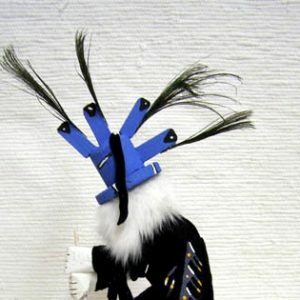 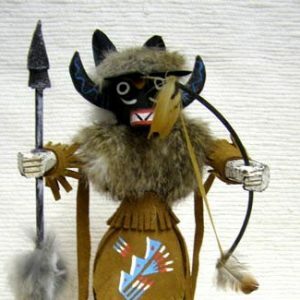 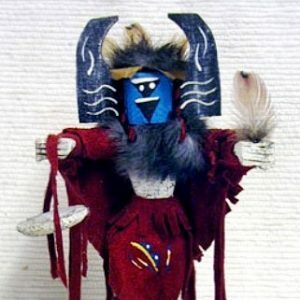 The Apache Crown Dancer Kachina is also known as the Mountain Spirit Dancer. 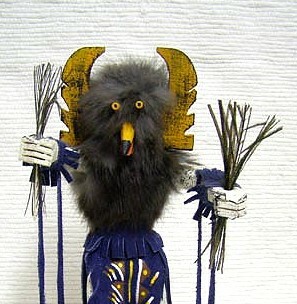 He possesses the power to heal and treats his patients by blowing away the sickness. 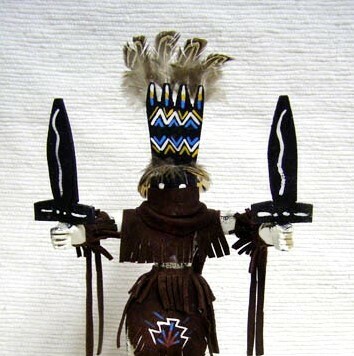 For ceremonies the Apache Crown Dancers are painted under the direction of the Shaman. 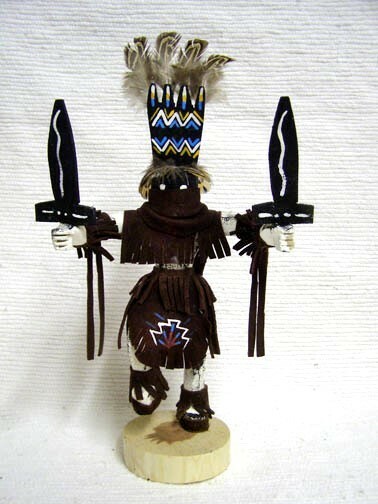 This Navajo Kachina is authenticated by the artist’s signature on the bottom of the stand.